Uber has launched a new service that pairs semi-truck drivers and companies with cargo loads to haul. 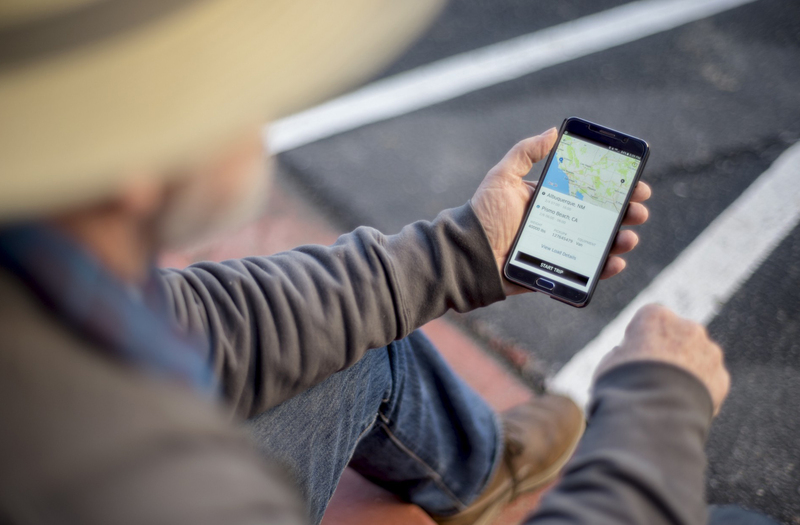 The app, Uber says, is designed to take the guesswork out of finding and booking freight which it describes as often being the most stressful part of a trucker’s day. With Uber Freight, the transportation company is hoping to do to the cargo shipment industry what it did to taxi services – decimate their business model. As TechCrunch highlights, vetted and approved drivers can use the app – which looks a lot like the main Uber app – to view load details, examine destination information, check the distance they’ll have to travel if they accept the haul and of course, view payment information. Should a driver decide a load is for them, a simple tap is all that’s needed to book it. Uber says that it typically can take 30 days or longer for a traditional trucking company / driver to get paid and that it’s not uncommon for a driver to have to wait several hours to get loaded without compensation. Uber Freights, on the other hand, is committed to paying within a few days and will do so fee-free. What’s more, if something goes awry and a driver has to wait longer than expected, Uber will compensate them for their lost time. Given the expertise it already has with transportation in general, Uber has a serious shot at really disrupting an established industry here (that is, until self-driving semis put truckers out of business).